Motivational Greeting Card. Card For Her. Vintage Photo Booth. Vintage Photo. Friendship Card. 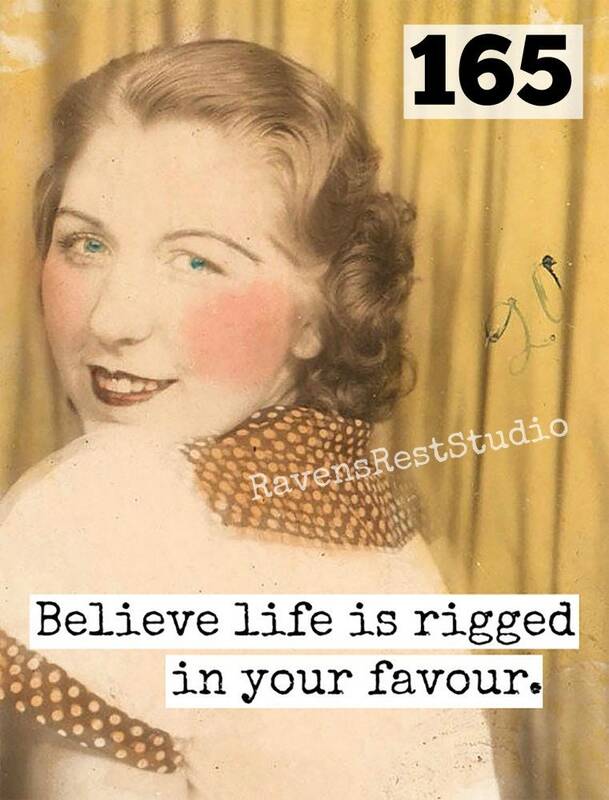 Believe Life Is Rigged... Card #165. 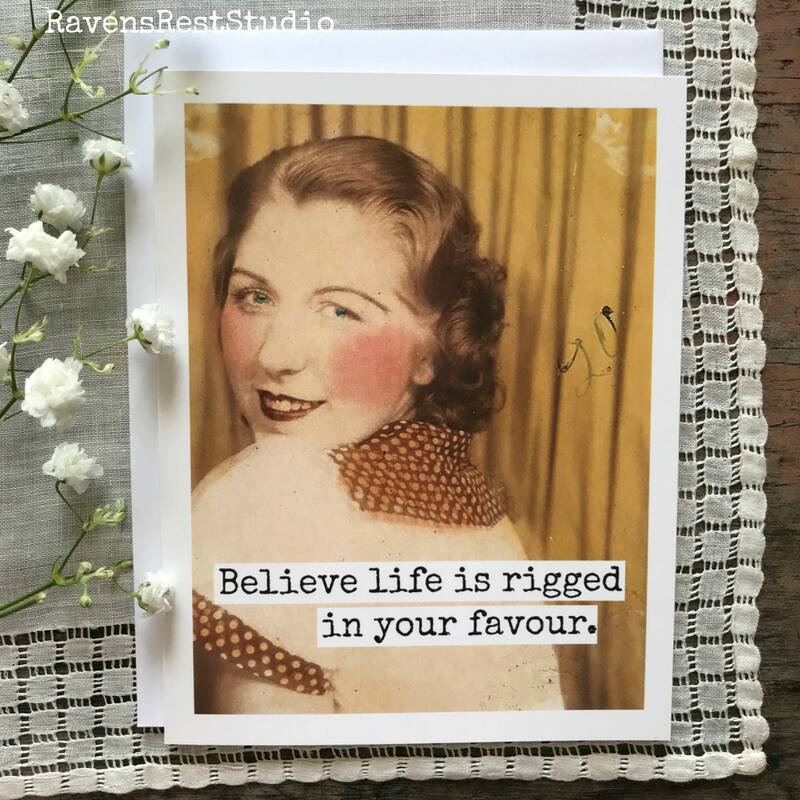 This card features a vintage woman in a Photo Booth and reads: "Believe life is rigged in your favour."